Quite often when enthusiastic start-up athletes are determining which sport that they want to be involved in, they are faced with the decision as to whether they want to play an individual sport or a team sport. 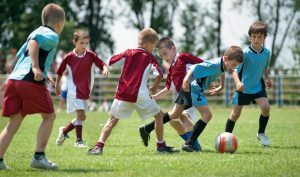 This is often something that is partially decided by a parent makes when deciding what to enroll their child in.When one looks at the list of the different type of sports and breaking them down into the two categories there are many different choices. In order to make the right choice for the young athlete, it depends on their characteristics. Some young people do not find mixing in with the team to be appropriate for them and they struggle with this. For these individuals, they may be far better off enjoying single sports where they can set their own pace and monitor their own achievements. In order for an athlete to excel well at a team sport, they also have to adapt to becoming a team player and being able to work well with the other participants. Some individuals can accomplish this quite easily while others struggle. Many people enjoy multiple sports, perhaps a combination of both individual and team sports. Both types of sports have their benefits including physical and health benefits as well as the ability to develop a variety of transferable skills that go beyond the rink, field or stadium. Teamwork, for example, is something many use on a daily basis in their personal, professional and athletic lives and ventures. For reasons such as this, many parents and people believe sport is important for more than just an athletic improvement in one’s life.